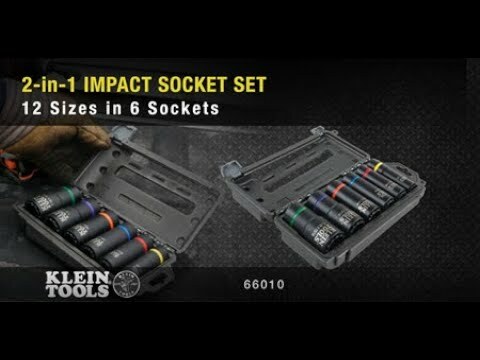 Six-piece set consisting of the commonly used impact socket sizes used in utility and construction work. Each impact socket features two coaxial spring-loaded sockets in one. The high-torque, 12-point design is easier to position on fasteners including square ones. Available in a convenient carrying case.